This is a project by Marion Vincent, Natural History Heritage Warden for Rothley and Brian Verity, Archaeological Warden for Rothley. 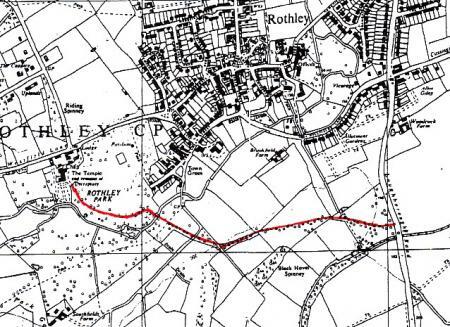 Our aim is to map the route of the carriageway constructed and used by Thomas Babington so that he could drive from his home, The Temple (now the Rothley Court Hotel), to the main road without having to drive his carriage through Rothley village. Thomas Babington 1758-1837 retired from being a Member of Parliament in 1818 and devoted more of his energies to building up his estate. 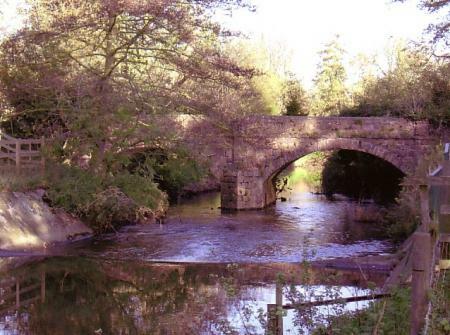 The carriageway from the Turnpike was one of his first projects, confirmed by the 1819 datestone on the Stone Bridge over Rothley Brook. He also planted many trees at this time. 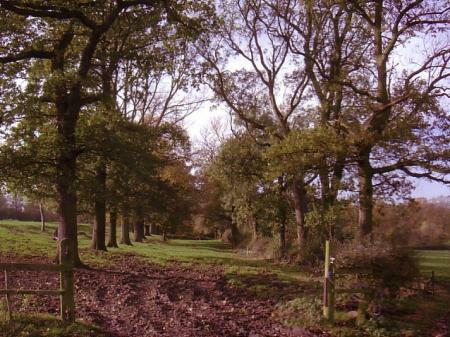 Recording started in November 2005 by walking the route using old maps and the trees and tree stumps that lined it. 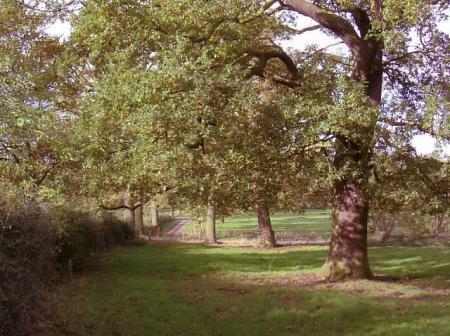 The most challenging part was through Rothley Park where there are very many trees and the longest part of the carriageway through any one site. 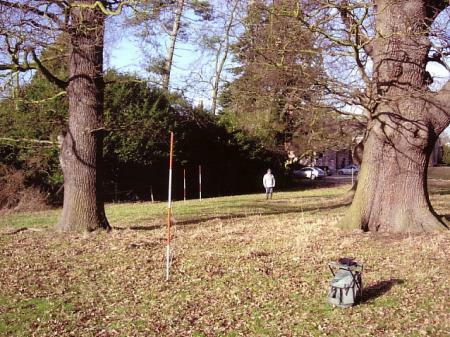 Starting at the Stone Bridge we used ranging poles to probe the pasture and this is how we located the gravel bed of the carriageway up to the boundary with The Temple, now the edge of the Rothley Court Hotel car park. 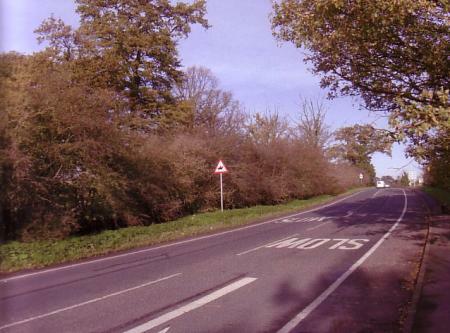 A photographic record has been made of the length of the carriageway but we have yet to record the trees and stumps in more detail. The route from the A6 slip road to The Temple is shown in red. 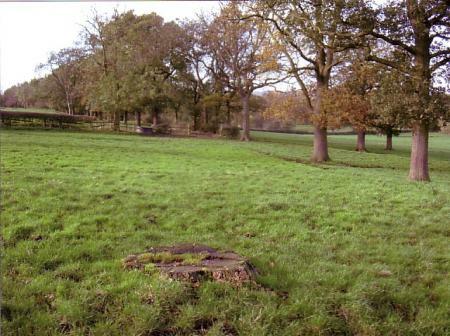 A lodge once stood at the entrance on the old A6 but there is now no trace of the building but the parkland railings around it are still visible in the hedgerow. 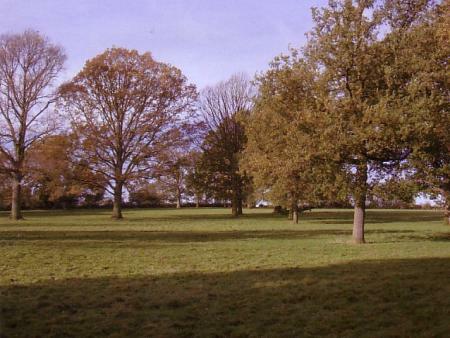 We are working from the direction of the old A6 towards The Temple starting from the site of the lodge through the field known as South Hall Field. 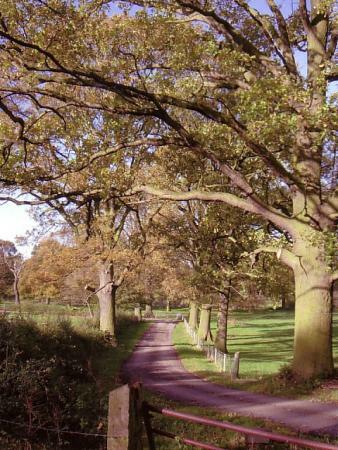 The route can be clearly seen through the avenue of trees, which are a mixture of Ancient Oaks and more recent plantings. 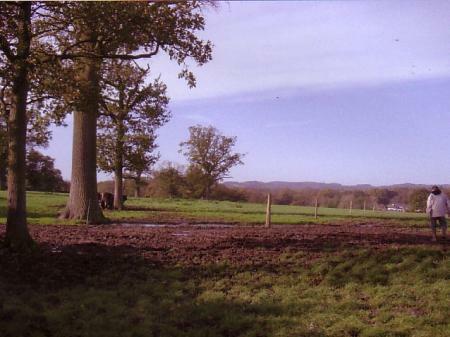 There are other lovely Ancient Oaks scattered around this field. Through Brookfield towards Short Browns Ward. Three views taken in different seasons to show its continuation through a lovely avenue of trees in a hilly pasture called Short Browns Ward. 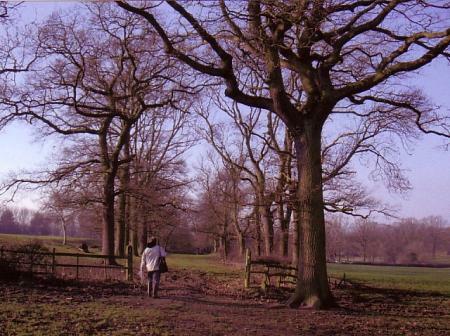 It then swings round to the right through the trees into Thorney Wong before meeting the Bridle Road to Thurcaston at the boundary of the Rothley Park Golf Course. Access over the Rothley Brook is by the Stone Bridge, Grade ll Listed, before entering the Rothley Park where it sweeps left through the beautiful Oaks on its final run to The Temple. 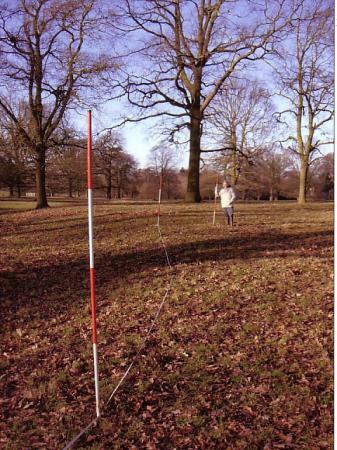 Plotting the route through Rothley Park with the aid of ranging poles probing the pasture to locate the gravel bed of the carriageway. Approaching The Temple at the end of the carriageway. On a lovely spring day it must have been a wonderful drive with all the trees showing fresh growth and, on a hot summers day, the carriage would have entered a very long, cool drive under the shade of the Oaks.